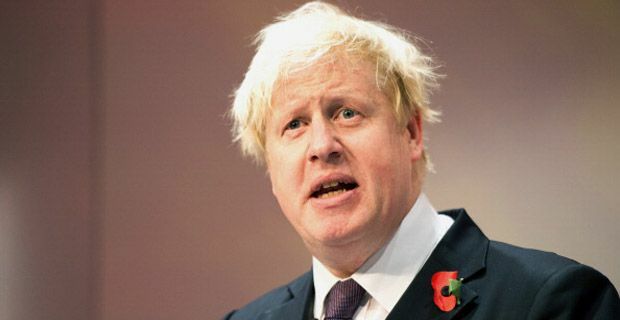 Boris Johnson, apparently unsatisfied with his recent hagiography of the super rich in the Daily Telegraph has displayed a quite breathtaking disconnect with the public mood. In the annual Margaret Thatcher lecture, he told Centre for Policy Studies that inequality is essential to fostering "the spirit of envy" and welcomed greed as a "valuable spur to economic activity". “Whatever you may think of the value of IQ tests, it is surely relevant to a conversation about equality that as many as 16 per cent of our species have an IQ below 85, while about 2 per cent have an IQ above 130,” he said. He added that free markets involved competition between “human beings who are far from equal in raw ability”. Even if that were true, surely it’s a politicians’ job to protect those people and find policies that help level out the imbalance while maintaining economic progress. Not just consign those people to a genetic scrapheap. It seems ironic that the 48 hours after the Pope rubbished the theory of trickle-down economics, the Mayor of London has apparently based his economic model around it. Repeating his claim that the top 1% paid 30% of income tax, he said "That is an awful lot of schools and roads and hospitals that are being paid for by the super-rich. So why, I asked innocently, are they so despicable in the eyes of all decent British people? Surely they should be hailed like the Stakhanovites of Stalin's Russia, who half-killed themselves, in the name of the people, by mining record tonnages of coal?" Does he really believe that his comedy persona will offset such extraordinary statements in the long run and that an abject lack of any real policy bar trusting the benevolence of the wealthy will see him elected prime minister? Really?